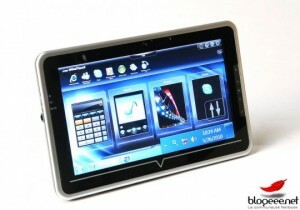 We had earlier reported that MSI was working on a Windows 7 tablet which was to be launched before the end of 2010. But looks like this will not be happening anytime soon as MSI is delaying the launch of its Windows 7 tablet until 2011. It was reported that this new tablet that MSI was working on was based on an Intel chipset and was seen as a competitor to the lower cost ARM-based chip designs. Intel is desperate to get a tablet in the market with its chipset to compete against the ARM-based chip designs and also the Apple’s custom built processor. MSI is said to delay the launch until early 2011 as it intends to use Intel’s newer Oak Trail chipsets which won’t be available until 2011. MSI is also reportedly asking Microsoft to ease up the GUI on its Windows 7 tablet based operating system to match and compete directly against the iPad. MSI has complained that the current Intel chipsets use too much electricity and are not efficient. However MSI’s WindPad 110 will run Android and has the ARM-based dual-core NVIDIA Tegra 250 chipset which will be released later this year. The WindPad will sport its very own mobile app store. Windows 7 has had some bad luck with the tablet market with some early adopters like HP backing out of it. Now this new delay is another setback for Microsoft who is still struggling to make its name in the tablet market. In this case, its not Microsoft (a real “surprise” ;-)) . Its the Intel Hardware (Chipset and CPU). consuming to much power (of course, Windows could have a better Energy saving…).